Are you a big fan of the BRILLIANT world of Tom Gates? 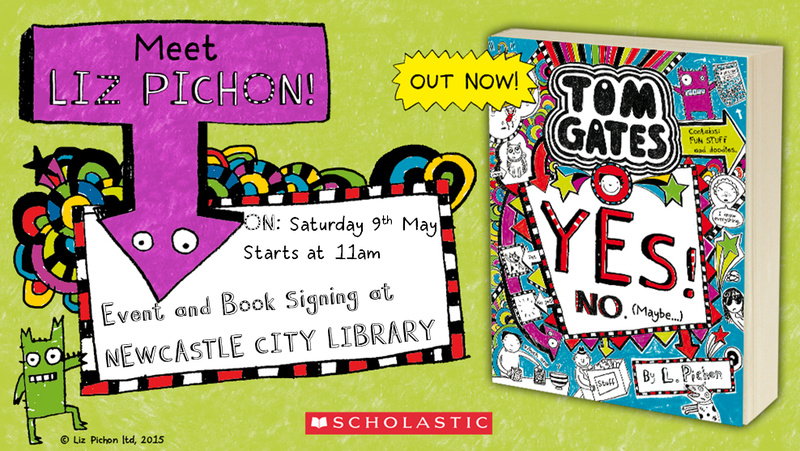 Then enter our competition to win a Tom Gates goody bag and two tickets to creator Liz Pichon’s event on Saturday 9th May at Newcastle City Library! Tickets to this fun-filled event cost just £3 each and can be purchased here. We have been provided with two free tickets to this event plus an exclusive Tom Gates goody bag to giveaway. Simply enter using our Rafflecopter giveaway below. Good luck! *Children only. First come, first served. Whilst stock lasts.